Over four days, in two different places, Hong Kong and Taiwan, three library associations and over forty librarians learnt about the role local libraries and their associations can play in contributing to the United Nations Agenda 2030 and its seventeen Sustainable Development Goals (SDG), as part of IFLA’s International Advocacy Programme (IAP). 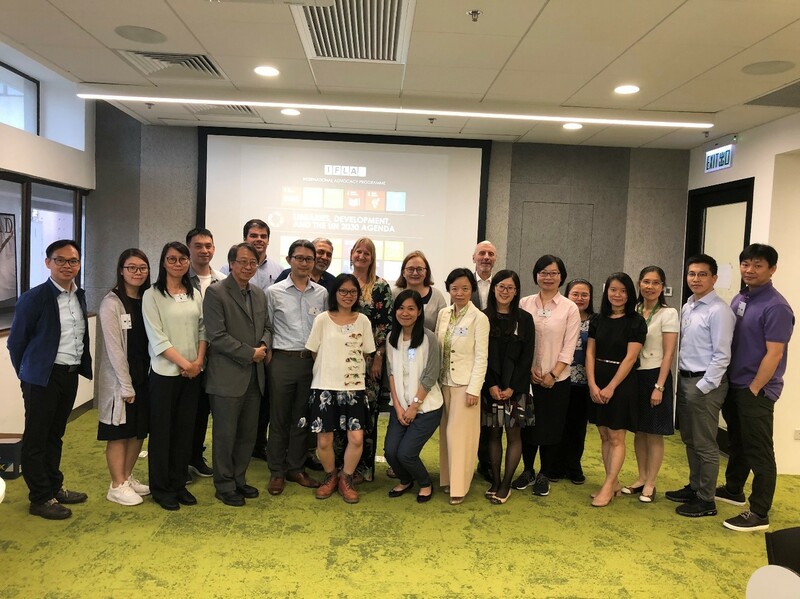 Hong Kong Library Association (HKLA), the Macao Library & Information Management Association (MLIMA) and the Library Association of the Republic of China (LAROC) together hosted two highly participative workshops, skillfully facilitated by Ingrid Bon from IFLA headquarters. Even before the workshop participants were challenged to define advocacy and identify their administration’s approach towards SDGs. The first day was a deep-dive into SDGs and how libraries can support them. Participants ranked the most relevant SDGs; for Taiwan Quality Education (SDG 4) came first, followed by Good Health and Well-being (SDG 3), followed in third place by Gender Equality (SDG 5) and Decent Work and Economic Growth (SDG 8). In Hong Kong Climate Action (SDG 13) was considered most important. Hong Kong colleagues agreed with Taiwan on the relevance of SDG 4 and SDG 3 and added to the list No Poverty (SDG 1) and Responsible Consumption and Production (SDG 12). Linking existing library programmes and initiatives to support for SDGs was challenging, but examples were identified that could be used in advocacy work, for example health promotion talks and programmes for the elderly, and an information literacy MOOC being developed by academic libraries but open to secondary schools. Next came the seven steps of Developing an Advocacy Plan for the SGDs, with great examples from library associations around the world. The most engaging and fun parts of the workshop were the elevator pitch and advocacy plans presentations. In the elevator pitch participants had to advocate an idea to a VIP they were trapped in the lift with for three minutes; it was harder than it sounded. In the advocacy plans presentation session, teams used the seven steps to develop an advocacy plan, and had to present it to the appropriate agency. Advocacy topics showed how far our thinking had developed in just two days. 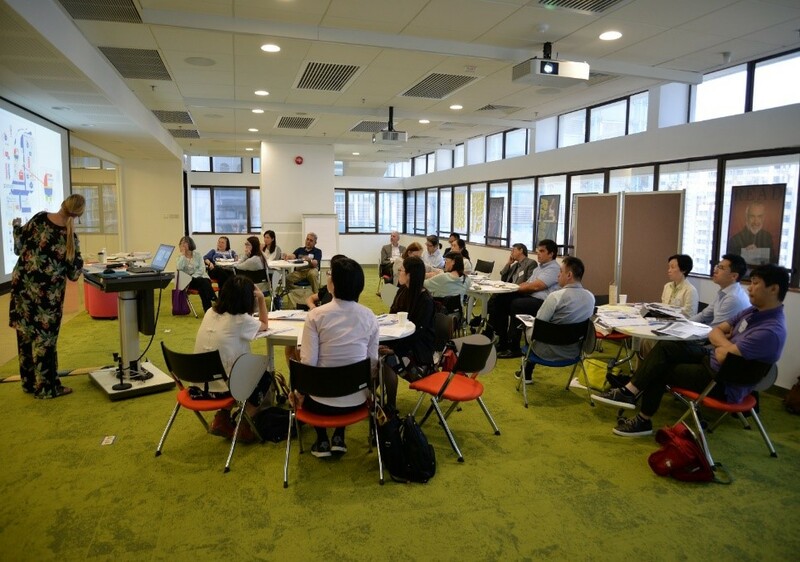 They covered library initiatives on critical thinking training (Taiwan); continuous professional development for educators (especially middle school teachers) advocated to the Principal of National Taiwan Normal University; public library services for people with blind patrons (Taiwan); reading promotion in public libraries (Hong Kong); library services for people with mental health issues (Hong Kong); promotion of UN 2030 Agenda and SDGs to the public (Macao) and library services for people with Special Educational Needs (Hong Kong). We are extremely grateful to Ingrid Bon and IFLA. Not only did we learn about the UN Agenda 2030 and were given an advocacy toolkit that we can utilise in the future, but the workshop also challenged us to think deeply about the role of libraries and associations. We left after two days inspired to work on follow-up activities in our libraries and associations.